Chengdu is located in the Sichuan Province, which constitutes the world’s most significant contiguous area of panda habitat. It includes a number of UNESCO World Heritage-listed sites, including giant panda sanctuaries. 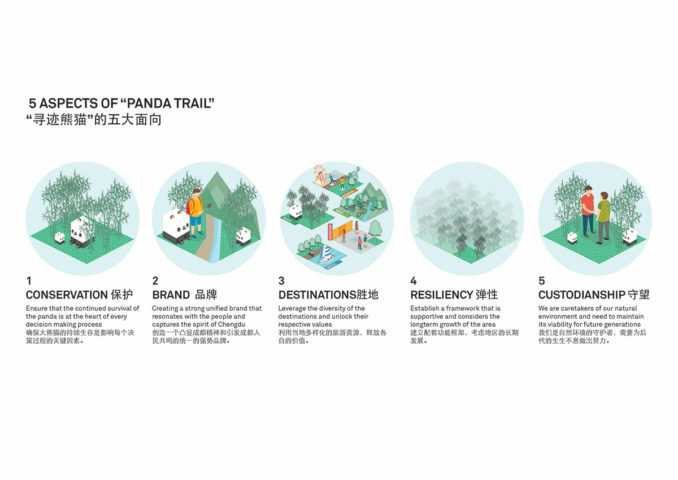 HASSELL has been named as one of the successful practices in the Chengdu Panda Land competition to master plan key sites across the city – all connected to the conservation, protection and education about China’s giant pandas. 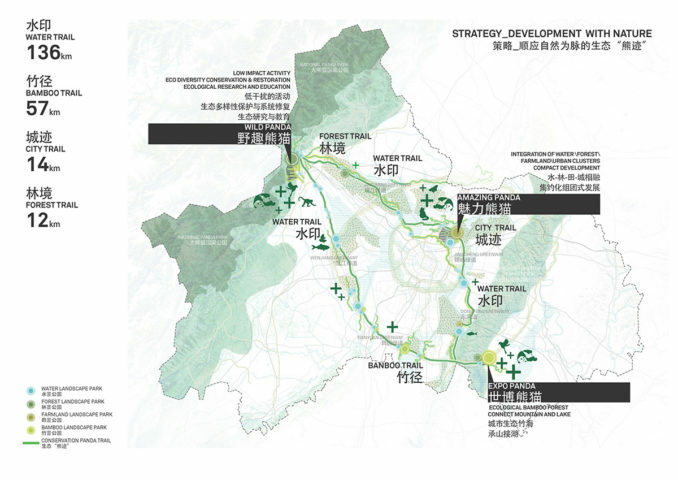 The HASSELL master plan for these and other key sites defines a connecting tourism trail that emphasises various themes based on their context and target audience, and which build on China’s increasing conservation efforts. 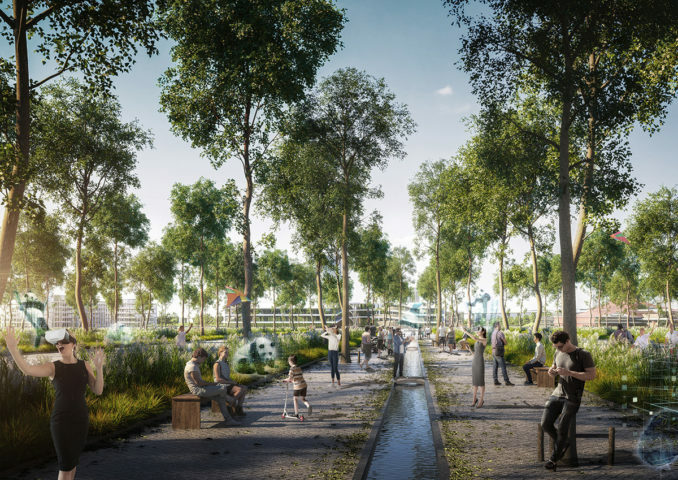 “Our winning proposal is based on the key principles of conservation, brand, destination, resilience and custodianship, and a high sensitivity towards the existing conservation sites and sanctuaries in the region,” said Andrew Wilkinson, HASSELL Principal and project leader. “It’s highly rewarding to be involved in this project that delivers on China’s increasing efforts to protect and increase awareness of this vulnerable species and its native habitat,” he said. 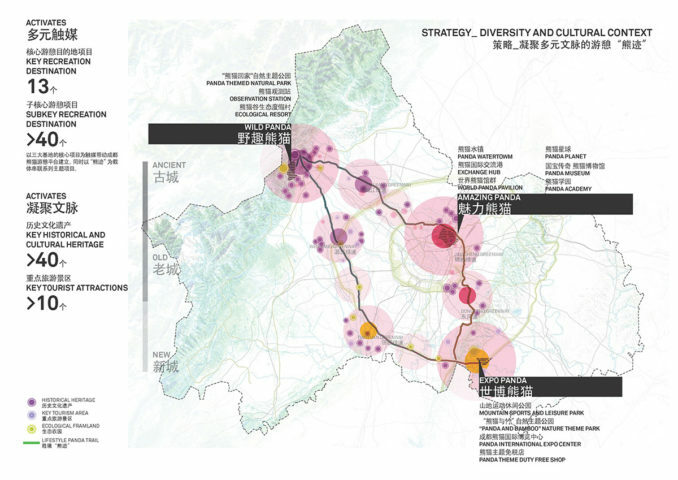 The HASSELL master plan identifies three sites across Chengdu – Beihu, Dujiangyan and Longquan Mountain – that are critical to raising awareness of environmental challenges facing giant pandas and other species, including habitat loss and livestock grazing. At Dujiangyan, visitors are envisioned as explorers rather than conventional tourists. 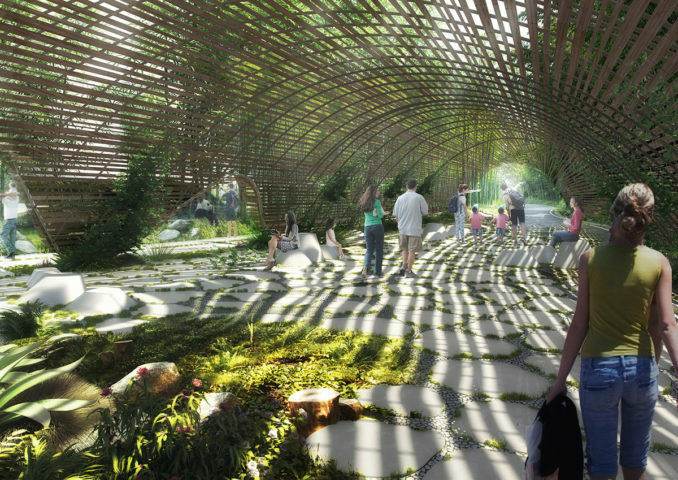 People can immerse themselves in the natural landscape and wander through the valleys of a panda-habitat parkland, observation station and an eco-resort. Beihu focuses on the surrounding communities, bringing them into the conservation efforts. 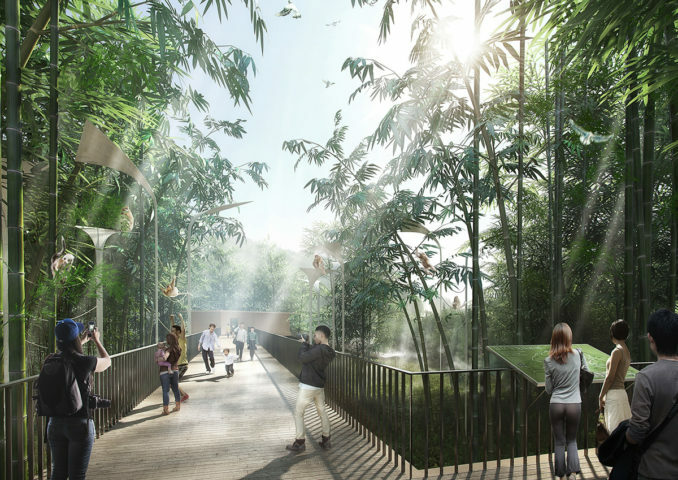 Scientific research and cultural innovation centres will improve local education about the complex and intrinsic qualities of Chengdu’s endangered native species and their habitats. At Longquan Mountain, our landscape restoration strategy revegetates the degraded mountain areas. A new international education and learning venue and a nature park will connect the mountain to the new eastern edge of the city and a global market. The master plan draws heavily on research into how people perceive and engage with wildlife. 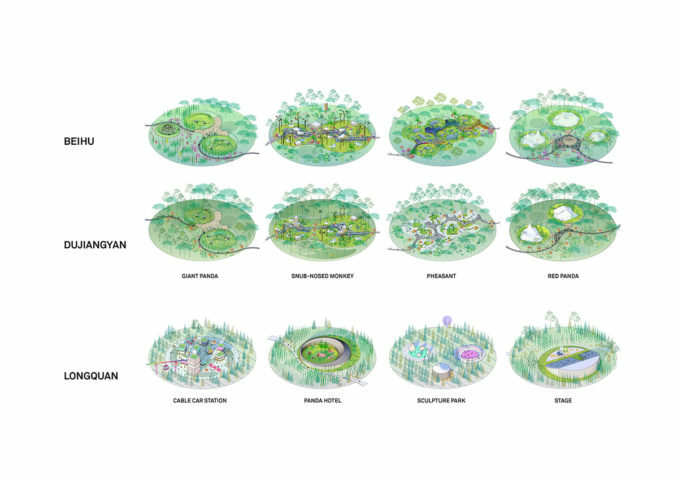 “By locating animal enclosures away from the main paths, limiting visibility to the exhibits through key openings and positioning animals at a higher level than the visitors, we can start to dissolve the common idea of humans being dominant over nature”, said Wilkinson. 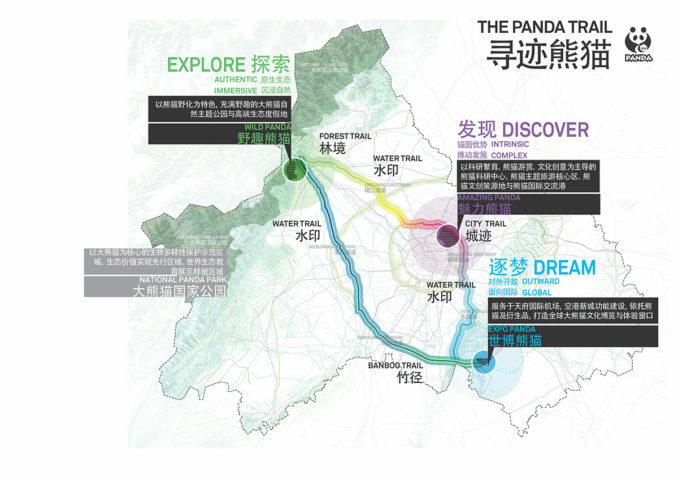 The Panda Land Master Plan is a collaboration between HASSELL and Tongji Urban Planning and Design Institute, with specialist advice provided by Jon Coe.